Apple will be required to defend itself in a Beijing court after officials accepted a case filed by nine well-known Chinese writers against the company, demanding that it pays the authors 11.91 million yuan (US$1.88 million) for selling illegal downloads of their work on the App Store. China’s People Daily reports that the writers are unhappy that unauthorised versions of their works have been submitted to the App Store and that the company is directly profiting from sales of illegal downloads of the books. 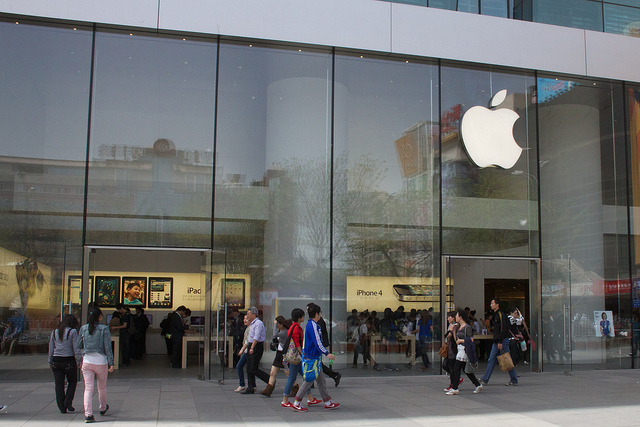 A member of the Chinese writers alliance that represents the authors believes it is “total theft,” as Apple may take 30% of total sales of illegal works sold by companies on the App Store. The writer’s alliance has requested Apple takes into consideration Chinese laws and provide copyright certification of books being sold on the App Store — Apple has reportedly refused to accept the request. The nine authors include Han Han, Li Chengpeng, Murong Xuecun, who intend to sue Apple for sharing 37 works. In March 2011, China’s biggest search engine Baidu was forced to delete 2.8 million unauthorised works after users and rights holders campaigned for their removal.